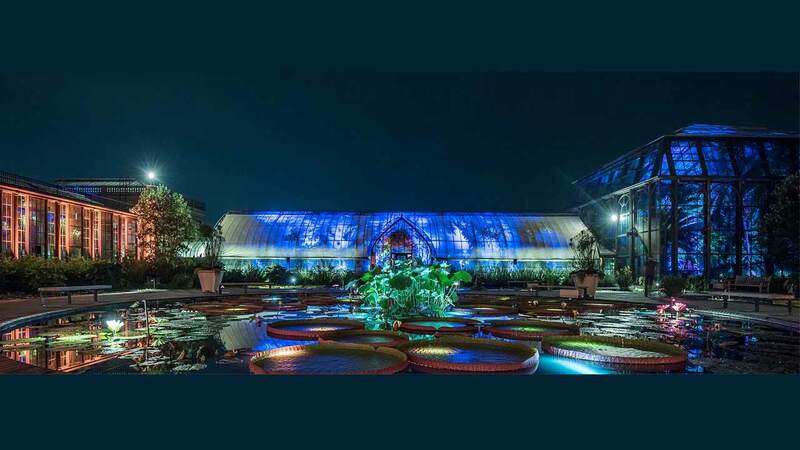 -Enjoy the gorgeous grounds of Longwood Gardens (pictured above) in a whole new way as Nightscape: A Light & Sound Experience lights up the night now through October 29. Using lights, music, and a bit of magic, the instillation illuminates the beauty of nature for a breathtaking experience. Want more? Live musical performances, a beer garden from regional favorite Victory Brewing Company, and other special events make Nightscape an event you won't want to miss. -August 20 hit downtown West Chester to take part in one of five great races, from the signature pro course to the fun but fiercely competitive Trike Challenge that pits teams of five against each other in an adult-sized tricycle relay, at the Iron Hill Criterium Series. The charming downtown turns into a face-paced circuit as hundreds of cyclists race through the challenging course at speeds in excess of 35 mph. There's also amateur races and a kids race, a community festival, and street block party - think great food, live music and lots of family fun! -Kennett Square, The Mushroom Capital of the World, celebrates its popular crop with a massive two-day Mushroom Festival celebration on September 10 & 11. Spanning over a mile and featuring more than 200 vendors, you can literally eat your way through downtown Kennett Square. Need a break to digest? Enjoy a parade, rides, races, a car show, and more. -Other attractions of interest: tour the world-renowned museums made famous by the legacy of the DuPont and Wyeth families, including Winterthur, the Nemours Mansion, and the Brandywine River Museum of Art; enjoy the stunning grounds of Longwood Gardens and the many other outdoor treasures that have won us the title of America's Garden Capital; or sip your way through the countryside with first-rate tastings and tours at 10 wineries and a number of nationally known craft breweries and distilleries. -Just outside of Philadelphia and only a two-and-a-half hour drive from New York, the Brandywine Valley is overflowing with enchanting B&Bs, charming downtowns, true farm-to table experiences, historical landmarks, and a host of outdoor recreation options. Come and experience the memories to be made in the Brandywine Valley. It's totally your scene.